Wand have shared “Walkie Talkie” from their forthcoming album, Laughing Matter, that’s out one month from today (4/19) via Drag City. A noisy, rocking pop song with a chugging groove, you can watch the video for “Walkie Talkie” below. 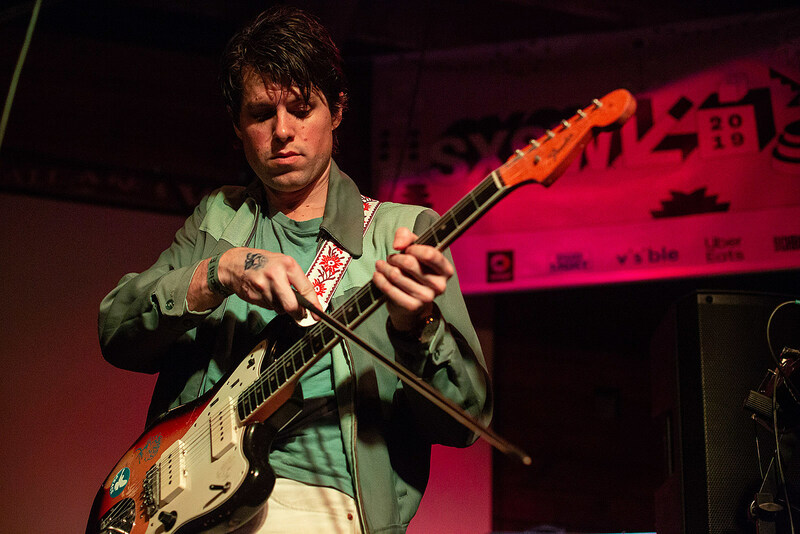 Wand were just in Austin for SXSW, whose sets included the first day of Brooklyn Vegan X Margin Walker’s two-day Lost Weekend day parties, and are back on the West Coast, playing San Diego tonight (3/19). They’ve just announced a summer tour that kicks off June 19 in Denver and runs through July 18 in Santa Ana, CA. They’ll play Brooklyn’s Elsewhere Rooftop on July 5 with Dreamdecay. Tickets for Elsewhere go on sale Friday, March 22 at 10 AM.